Nokia E Series (E63, E71, 72) phones seem to drain the battery sooner than usual when the wifi is turned on and used, hence here I show how to reduce the transmit power of the wifi antenna so that the battery lasts longer. 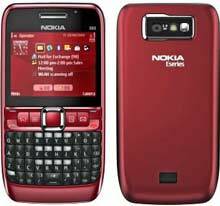 To read more about e series, goto compare nokia e series post. The following steps must be followed to reduce the transmit power of the wifi antenna. Please note that if your wireless router is very far or if the signal is weak, doing so can lead to loss in connectivity and degraded performance. If your wireless router is in the same room or has a very strong signal, reducing the transmitting power can help saving battery without much degrade in performance/ connectivity. These steps given below can be undone and default settings can be restored, so go ahead give it a try and test your connectivity. 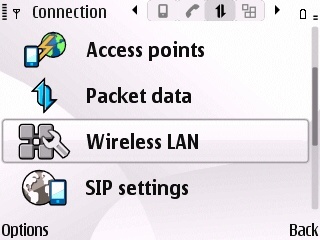 If not follow the steps given at the end to restore to the default wireless LAN settings. 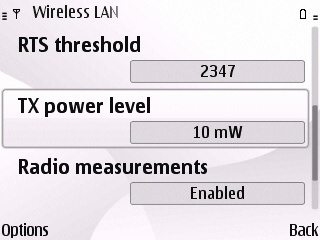 Scroll down to the TX power level, which has a default value of 100 mW, change to a lower value of 10 mW or 4 mW depending on your router proximity. 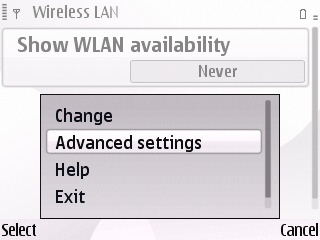 If something goes wrong, restore the default settings by going to the advanced wireless settings (Step 1..3 from above). Hope this reduces the drain on your nokia e series phone while using wireless connectivity (wifi).